Bloody Anger has two things on his mind - revenge and his next meal! This zombie looks like he's been exposed to a fatal dose of radiation. The red-ringed bloodshot eyes are freaky! The mouth oozes with bubbling flesh. Disgusting! 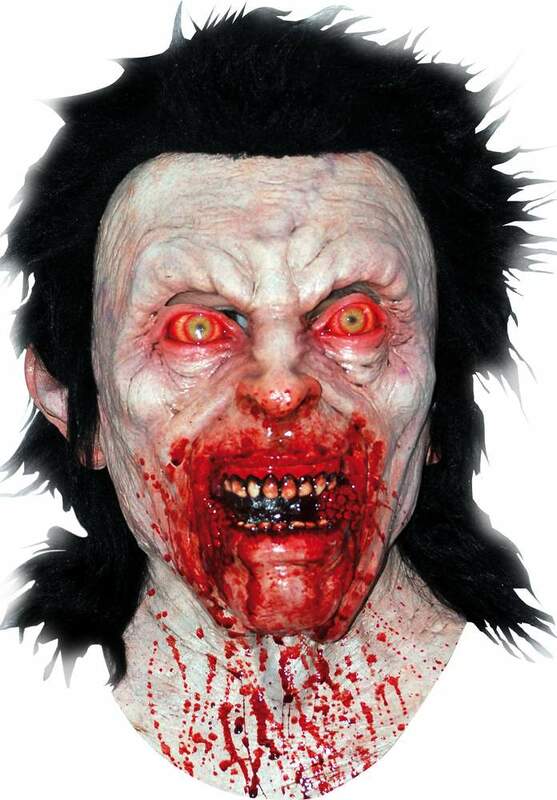 This is a full over the head latex mask with thick black hair.